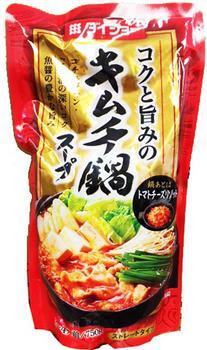 JFC International of Los Angeles, Calif., is recalling Daisho Kimchi Hot Pot Soup Base. The product contains crustacean shellfish, specifically shrimp and crab, allergens not declared on the label. One incident has been reported to date in connection with this issue. The recalled products were sold between October 16, 2017, and January 31, 2018 to retail stores and other foodservice operators in Alaska, Arizona, California, Connecticut, the District of Columbia, Delaware, Hawaii, Illinois, Indiana, Kansas, Kentucky, Massachusetts, Maryland, Michigan, Missouri, Nebraska, New Hampshire, New Jersey, Nevada, New York, Ohio, Oklahoma, Oregon, Pennsylvania, Texas, Utah, Virginia, Washington and Wisconsin.